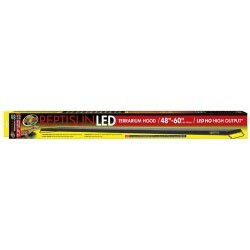 Buy Wholesale Reptile LED Hoods & Lights For Sale at Bulk Prices! The Arcadia Jungle Dawn is a full spectrum LED plant growth lamp with proven results. This energy efficient product emits light at 6.5k kelvin which is commonly thought of as the colour of natural sunlight. 75% 6.5k / 25% 4.5k Size: 11w (7") Fits all standard light sockets. 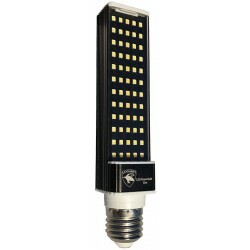 The Arcadia Jungle Dawn is a full spectrum LED plant growth lamp with proven results. This energy efficient product emits light at 6.5k kelvin which is commonly thought of as the colour of natural sunlight. 80% 6.5k / 20% 4.5k Size: 13w (7") Fits all standard light sockets. 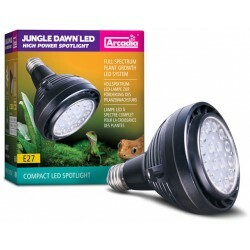 The Arcadia Jungle Dawn is a full spectrum LED plant growth lamp with proven results. This energy efficient product emits light at 6.5k kelvin which is commonly thought of as the colour of natural sunlight. Size: 17w Fits all standard light sockets. 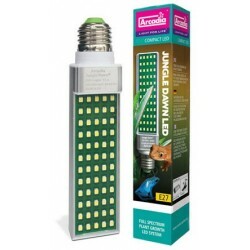 The Arcadia Jungle Dawn is a full spectrum LED plant growth lamp with proven results. This energy efficient product emits light at 6.5k kelvin which is commonly thought of as the colour of natural sunlight. Size: 22w Fits all standard light sockets. 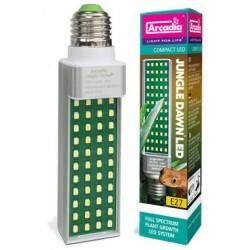 The Arcadia Jungle Dawn is a full spectrum LED plant growth lamp with proven results. This energy efficient product emits light at 6.5k kelvin which is commonly thought of as the colour of natural sunlight. 75% 6.5k / 20% 4.5k Size: 9w (6") Fits all standard light sockets. 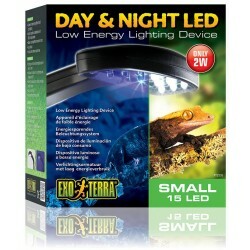 Energy efficient LED Terrarium lighting with a low profile design! Unique modular design allows for replacing or swapping out LED panels. These hoods feature adjustable rails allowing them to fit a variety of tank sizes. The hood can also be suspended using the included stainless steel aircraft cable suspension kit. 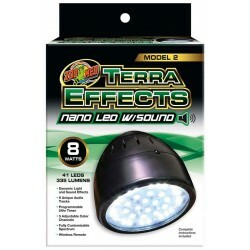 Size: 18" - 26"
Energy efficient LED Terrarium lighting with a low profile design! Unique modular design allows for replacing or swapping out LED panels. These hoods feature adjustable rails allowing them to fit a variety of tank sizes. The hood can also be suspended using the included stainless steel aircraft cable suspension kit. 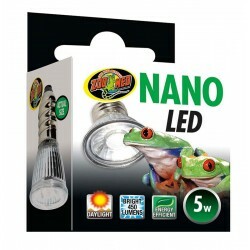 Size: 30" - 38"
Energy efficient LED Terrarium lighting with a low profile design! Unique modular design allows for replacing or swapping out LED panels. These hoods feature adjustable rails allowing them to fit a variety of tank sizes. The hood can also be suspended using the included stainless steel aircraft cable suspension kit. 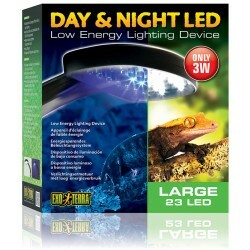 Size: 48" - 60"
Energy efficient LED Terrarium lighting with a low profile design! Unique modular design allows for replacing or swapping out LED panels. These hoods feature adjustable rails allowing them to fit a variety of tank sizes. The hood can also be suspended using the included stainless steel aircraft cable suspension kit. 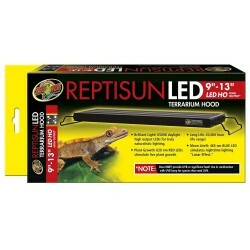 Size: 9" - 13"
Zoo Med's ReptiSun® LED UVB Terrarium Hood combines energy efficient, brilliant LED lighting with our long-time trusted ReptiSun® UVB Lamp. 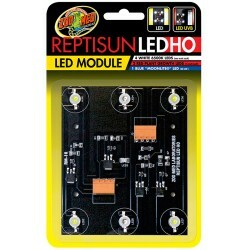 In addition to the 6500K LEDs, Red plant growth LEDs, and Blue Lunar LEDs, this hood houses a High Output T5 ReptiSun® UVB Lamp. 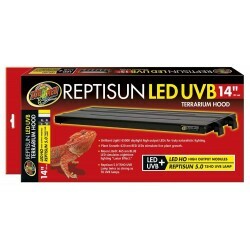 Size: 14"
Zoo Med's ReptiSun® LED UVB Terrarium Hood combines energy efficient, brilliant LED lighting with our long-time trusted ReptiSun® UVB Lamp. In addition to the 6500K LEDs, Red plant growth LEDs, and Blue Lunar LEDs, this hood houses a High Output T5 ReptiSun® UVB Lamp. 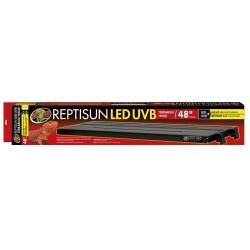 Size: 24"
Zoo Med's ReptiSun® LED UVB Terrarium Hood combines energy efficient, brilliant LED lighting with our long-time trusted ReptiSun® UVB Lamp. In addition to the 6500K LEDs, Red plant growth LEDs, and Blue Lunar LEDs, this hood houses a High Output T5 ReptiSun® UVB Lamp. Size: 30"
Zoo Med's ReptiSun® LED UVB Terrarium Hood combines energy efficient, brilliant LED lighting with our long-time trusted ReptiSun® UVB Lamp. In addition to the 6500K LEDs, Red plant growth LEDs, and Blue Lunar LEDs, this hood houses a High Output T5 ReptiSun® UVB Lamp. 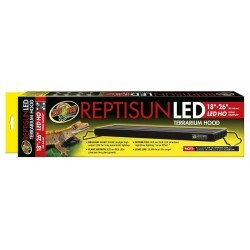 Size: 36"
Zoo Med's ReptiSun® LED UVB Terrarium Hood combines energy efficient, brilliant LED lighting with our long-time trusted ReptiSun® UVB Lamp. In addition to the 6500K LEDs, Red plant growth LEDs, and Blue Lunar LEDs, this hood houses a High Output T5 ReptiSun® UVB Lamp. Size: 48"